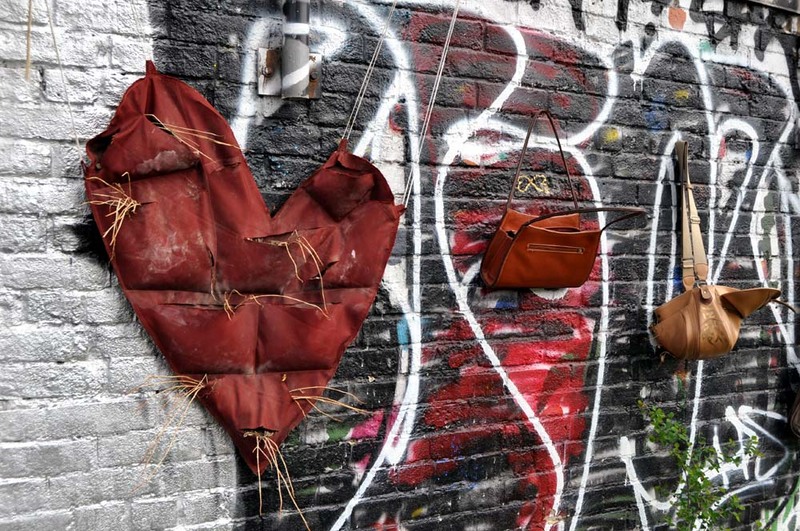 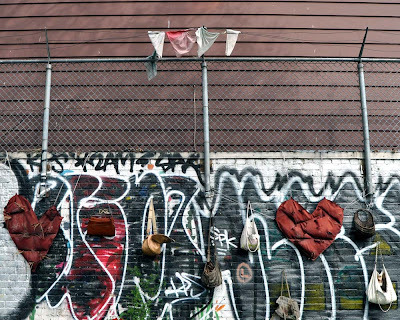 Bright graffiti is complemented by hanging hearts at 63 Oxford Street in #Toronto. 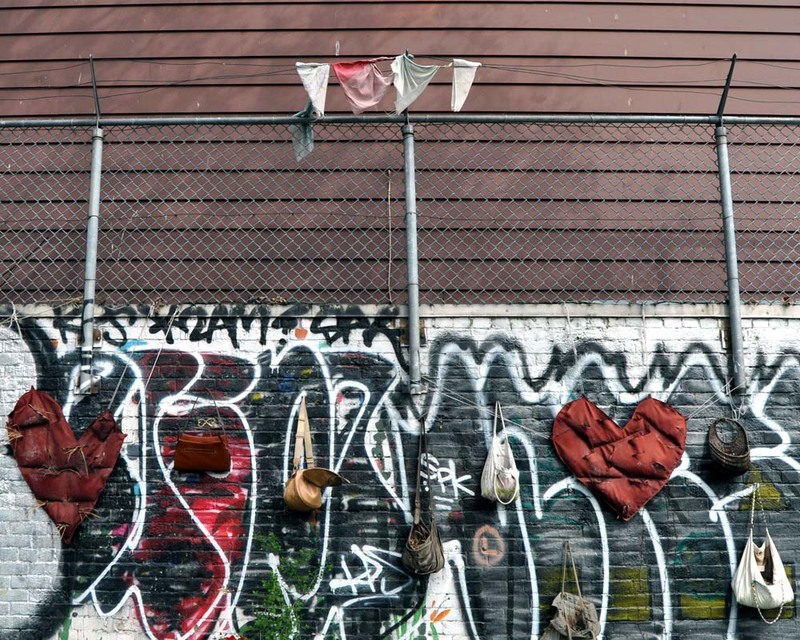 The community park and flower gardens in the Kensington Market is enclosed within bricks and fence and the bright graffiti really stands out. 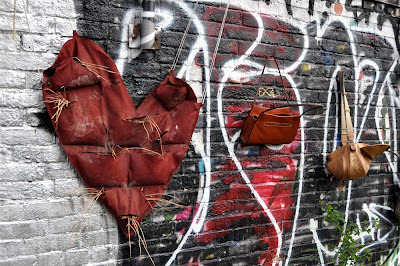 Joining the hearts are a bunch of purses and strips of cloth.